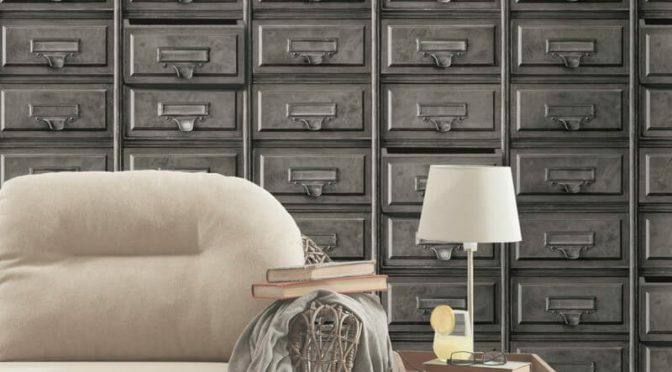 Holden Decor Vintage Drawers Grey Wallpaper is a great way to add a period touch to your home this season and beyond. This delightful wallpaper is part of the much loved Imaginarium Wallpaper Collection. So it is sure to make a welcome addition to any room. This design is flat for a modern look and features a contemporary grey colour scheme for lasting style. Furthermore, it is reminiscent of a classic accountant’s office from the early 1900s. Finally, the Holden Décor Vintage Drawers Grey Wallpaper works well as a feature wall. Team with plain grey or cream tones to complete the look.